If you are an Assisted Living provider, chances are the residents you serve today look very different from your residents 10 years ago. Providers across the country are recognizing a shift in resident acuity. In most instances this means the residents they are serving are older, have more comorbidities, and need more assistance and services than ever before. 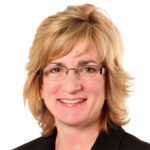 Direct Supply Clinical Director Liz Jensen, RN MSN, RN-BC, is a board-certified gerontological nurse with more than 25 years of experience in nursing leadership, practice and education in post-acute care and Senior Living. 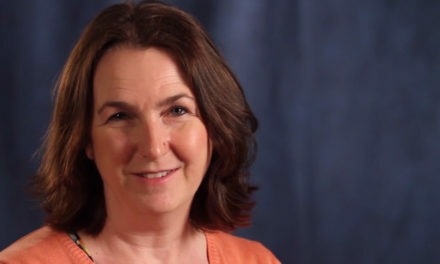 She shares her experiences in working with Assisted Living providers and the trends she’s seeing. Aging in Assisted Living is not new – what’s changed? It’s actually a combination of several leading factors, including consumer demand, expanded capabilities and changes due to healthcare reform. Seniors are waiting longer than ever before to move into Senior Living, and those who live in Senior Living want to stay in their current apartments longer. Today, the average age of a resident in Assisted Living is 87. In 2000 it was 80. 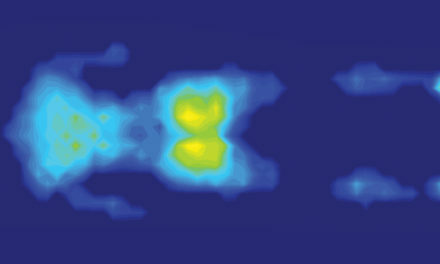 Advances in medical care are helping people live longer with more chronic conditions. When you look at the research, the first incidences of cardiovascular disease, heart failure and stroke significantly increase over the age of 80. This may mean our Assisted Living residents are taking more medications, need more help with transfers and mobility, and have an increased risk of frailty. When working with providers who want to expand their services, I often ask them what they are able and willing to provide. This is an important question with two distinct parts. The ability to provide additional or new services is largely based on state licensure and regulations. Many states limit the type of care and assistance a resident may receive in Assisted Living. Once a provider understands what they are able to provide, we’ll discuss what they are willing to provide. Adding additional services may change how their business operates, affect how many staff and the type of staff needed, change policies and documentation, and possibly require adding equipment. 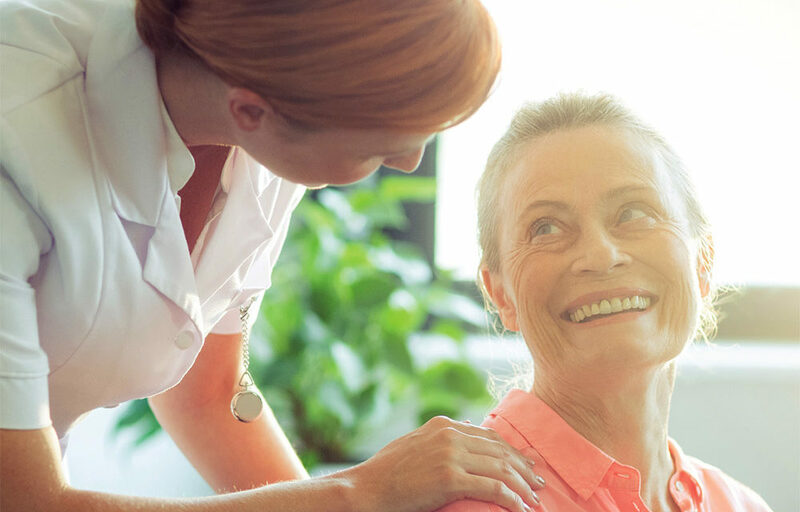 Many providers will add services like on-site visits by a physician or nurse practitioner, the ability to meet with a dietitian or social worker, or expanded home health services with on-site nursing care and physical therapy. What’s one of the more interesting changes you’ve seen? As a nurse, I’m always interested in how nurses are adapting to the environments they practice in. Nursing in Assisted Living can be challenging due to the regulatory environment that often limits how much nursing care can be provided. One of the interesting changes I’ve seen is adapting a community health model to Assisted Living. 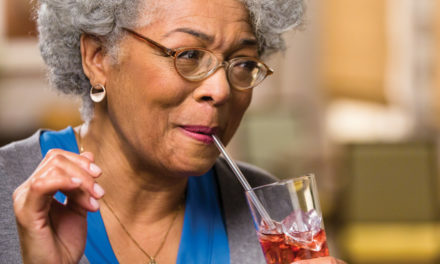 Viewing the Assisted Living facility as a community and applying principles of community health nursing can encourage a more coordinated approach to serving a resident’s needs within the boundaries of regulation and licensing. The community is better aligned to support the individual through screening programs, risk reduction interventions, health education, environmental modifications and physical activity. What types of products are Assisted Living providers adding to help meet these changes? We are seeing Assisted Living providers select products that help improve outcomes and meet their residents’ health and wellness goals. Sometimes it’s as simple as a scale placed in an apartment so the resident can record a daily weight as part of managing heart failure. Or it may be equipment that helps with staff efficiency, like a vital signs monitor on a wheeled stand that can take blood pressure, temperature and oxygen saturation. We’ve also seen providers improving opportunities for more exercise by adding stepper machines with virtual reality games and four-in-one exercise machines that offer resistance. 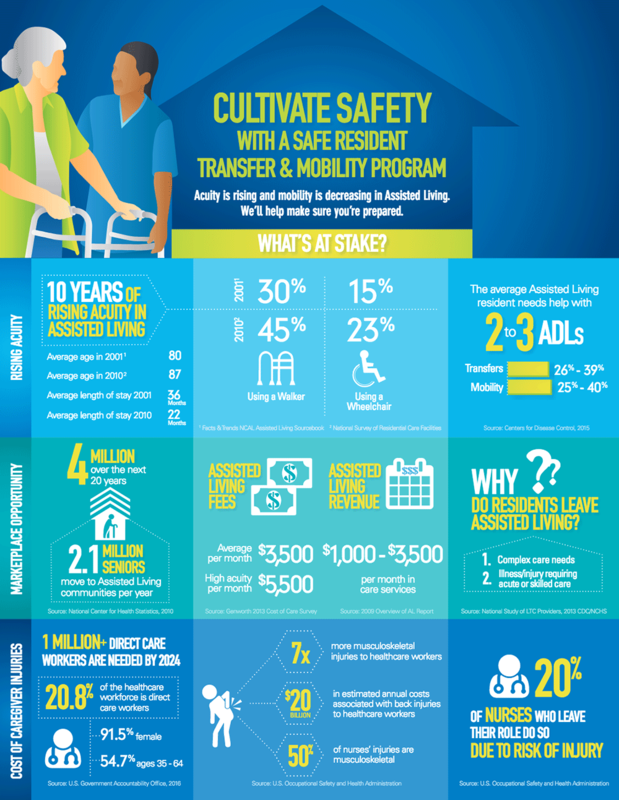 In the last few years, we’ve seen providers add more products to help with safer resident transfers and mobility. 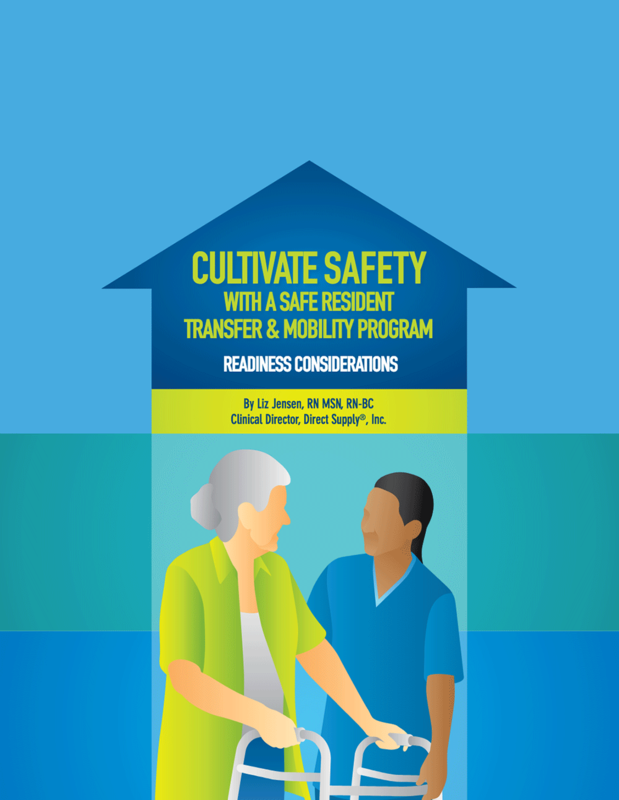 Many providers are realizing the risk for staff and resident injuries increases when residents require more assistance. 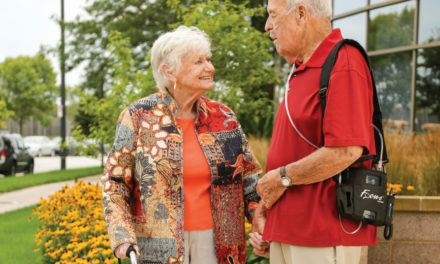 Products that offer standing support can help residents maintain independence. 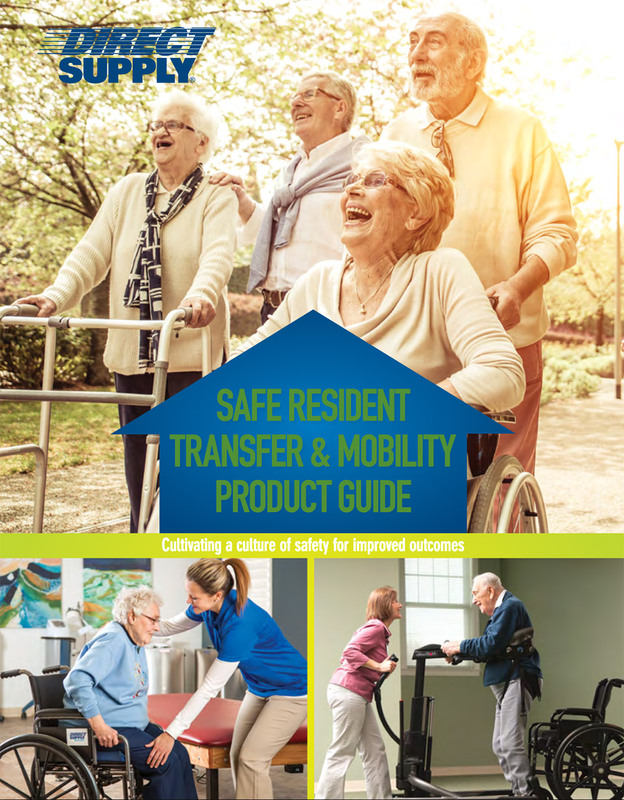 There are also newer types of transfer and lifting devices that often work better for the mobility needs and living environment in Assisted Living.